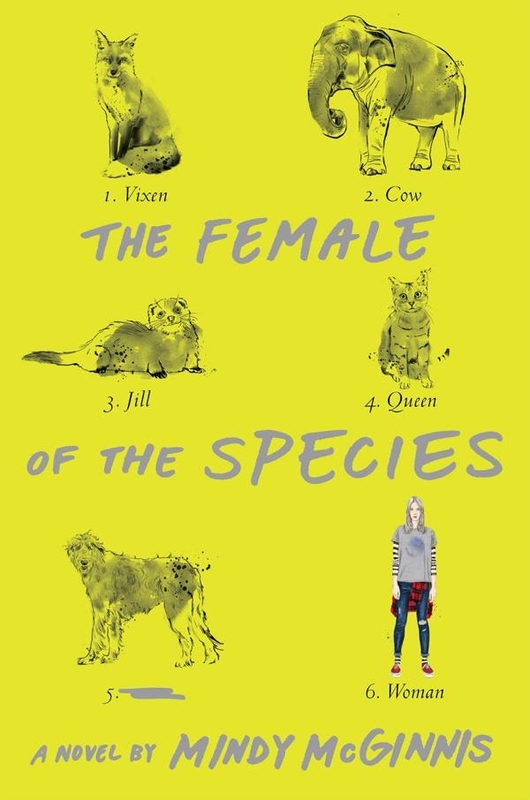 “The Female of the Species” is a gut punch. It’s raw, evocative and incredibly violent. But for every page that makes you wince, there’s another that makes you laugh or cry. Mindy McGinnis’s fourth novel is told during the senior year of three small-town teenagers, Alex, Peekay and Jack, and focuses on their complex and significant relationships. Alex’s fluency in “the language of violence” has forced her to isolate herself, with her only source of socialization being her alcoholic mother and ever-present book. Alex doesn’t know what’s wrong with her, but she knows her sister was the only person who could protect her, and when she died, Alex’s only tether to normalcy disappeared. When Alex and preacher’s daughter Peekay become friends, Peekay re-introduces Alex to normalcy and the social microcosm of high school. Alex also starts a relationship with Jack, the ladies’ man who thinks Alex is different, and they form a deep connection. McGinnis’s writing is the framework that makes this story easily readable. The usual sweeping and dramatic tone of YA novels is replaced with direct simplicity that reads more like a well-written diary than a corny book of love poems. Where McGinnis falters is in her pacing. The first quarter of the book opens with a shocking revelation — McGinnis’ graphic narration of Alex’s cruel justice in the first chapter sets the tone for a violent and honest story — and the plot is lightning-quick. The last quarter of the book is suspenseful, tragic and exciting. But the middle half of the book, set during the usually dreary winter months, stagnates to the point of stopping. The non-stop rollercoaster seems to flatline and at times even falls back on the worn-out conventions of stereotypical high school novels. But by the time the snow has melted and spring arrives, McGinnis has returned the breakneck speed to the plot and amped up the drama. McGinnis gives every character in “The Female of the Species” a unique characterization and memorable storylines — except one. Branley, the beautiful and popular cheerleader, is a one-dimensional mean girl whose only redeeming quality is the love she has for her little sister. Branley’s desperation to be liked makes her needy, catty and unlikeable. Where McGinnis gives murderous Alex a love for animals and a fierce protective streak, she gives perfectly normal Branley a face full of makeup and a bad reputation. The small town setting is often used as a plot device to create a one-note, dull feeling, but the unnamed town of “The Female of the Species” is as complicated and flawed as its protagonists. The characters’ families range from loving parents to absentee fathers and alcoholic mothers. The interaction of a mother and daughter avoiding each other in the kitchen and Alex’s mother’s inability to confront her dead daughter and absent husband is as unsettling as the discovery of Alex’s sister’s dead body. “The Female of the Species” is heavy; it will stay with you days after you’ve read it. It focuses on death and sexual assault and the ways people deal with both. While it tackles serious issues, it’s also a reflection on friendship and love. McGinnis achieves something unique with this book — she creates a typical senior-year high school story and fills it with raw, off-putting themes of vengeance, loneliness and change.